Once a movie theater, this striking Art Modern building (now on the National Register of Historic Places) features live entertainment from plays to concerts to special events. 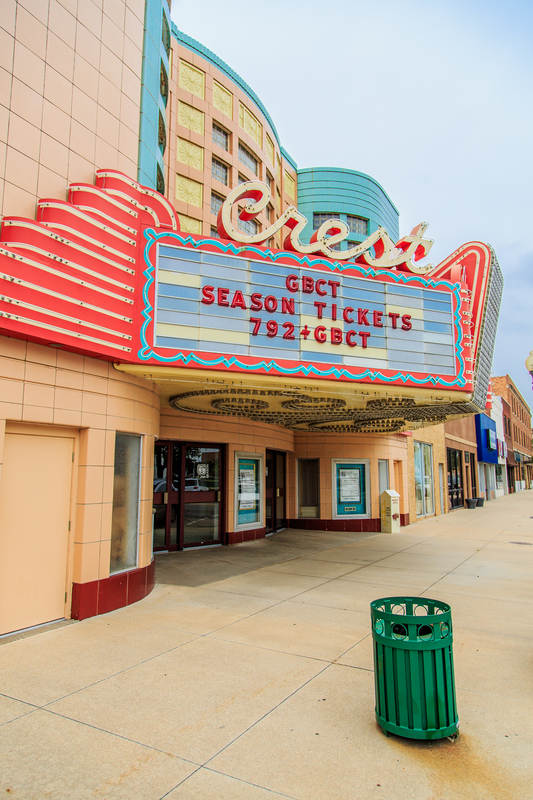 Get your best dress on and enjoy an evening at the Crest Theatre. Laugh your way through a comedy or wipe away the tears as actors from the Great Bend Community Theatre take a dramatic turn on the boards.